DESCRIPTION OF MISHAP: AT ^1800 HOURS^, ^26 JANUARY 1973^, THE CREW OF AIRCRAFT ^68-16278^ DEPARTED THE ^II CORPS^ UPPER PAD ON THE EVENING OF^THANH AN^ SHUTTLE MISSION. AFTER DROPPING OFF THE NIGHT ^TOC TEAM AT THANH AN^, THE CREW ORBITED ^THANH AN^ WHILE WAITING FOR THE DAY ^TOC TEAM^ TO FINISH BRIEFING THEIR REPLACEMENTS. DURING THIS PERIOD OF TIME, ^THANH AN^ BEGAN TO RECEIVE INCOMING 122MM ROCKET FIRE. SINCE A U.S. ADVISOR, ^CPT CHARLES K. SUTTON^, WAS RIDING IN THE AIRCRAFT, ^A/C 278^ WAS DIRECTED TO TRY TO DETERMINE LOCATIONS OF THE ROCKETS AND TO CONTROL THE 2 AH-1G'S THAT WERE ENROUTE. THE CREW FLEW THIS TYPE MISSION FOR APPROXIMATELY ONE HOUR. THEY THEN RETURNED TO ^II CORPS HQ^ AND DROPPED OFF ^CPT SUTTON^ SO HE COULD BRIEF ^CTOC^ ON THE DEVELOPMENTS AT ^THANH AN^. THE AIRCRAFT WAS THEN FLOWN TO ^CAMP HOLLOWAY^ TO REFUEL. AFTER REFUELING, THE AIRCRAFT WENT BACK TO ^II CORPS^ UPPER PAD, PICKED UP ^CPT SUTTON^ AND RETURNED TO ^THANH AN^. 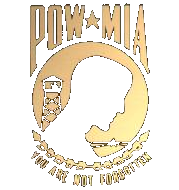 SHORTLY AFTER THE AIRCRAFT'S RETURN TO ^THANH AN^, THE CREW WAS TOLD THAT THEY WERE RELEASED AND COULD RETURN TO ^CAMP HOLLOWAY^ AND ^II CORPS HQ^. AT THIS TIME, APPROXIMATELY ^1945 HOURS^, BECAUSE OF NO MOON, IT WAS QUITE DARK OUT. ALSO BECAUSE OF HAZE, THE VISIBILITY WAS DOWN TO ABOUT 3 MILES. ^1LT BAXTER^ HAD CLIMBED TO APPROXIMATELY 9000 FEET IN ORDER TO BE CLEAR OF ARTILLERY AND ROCKET FIRE IN THE ^THANH AN^ AREA. APPROACHING THE ^PLEIKU^ AREA ^LT BAXTER^ STARTED A 500 FPM DESCENT FROM ALTITUDE. THE FM RADIO HAD NOT BEEN WORKING PROPERLY THROUGHTOUT THE FLIGHT. THE CREW COULD ONLY HEAR TRANSMISSIONS WHEN THE SQUELCH WAS IN THE "SQELCH DISABLE" POSITION. THE CREW ELECTED TO LEAVE THE SWITCH IN THE DISABLE POSITION DURING THE ENTIRE FLIGHT. THE RESULTING RUSHING NOISE MADE GOOD COMMUNICATION BETWEEN CREW MEMBERS DIFFICULT. SHORTLY BEFORE THE TIME OF THE ACCIDENT, ^2LT WILSON^, THE CO-PILOT, NOTICED THAT THE AIRCRAFT WAS STILL DESCENDING AND HE THOUGHT THAT THEY WERE AT TOO LOW AN ALTITUDE. ^2LT WILSON^ ELECTED TO INFORM THE PILOT, ^1LT BAXTER^, THAT THEY WERE TOO LOW BY APPLYING SLIGHT UPWARDS PRESSURE ON THE COLLECTIVE. HE DID THIS SO AS NOT TO DISTURB ^1LT BAXTER^ WHO WAS MAKING A RADIO TRANSMISSION AT THE TIME. ^LT. BAXTER^ ALSO THOUGHT THAT ^LT WILSON^ SAID "I HAVE IT." ^LT WILSON^ ALSO THINKS ^LT BAXTER^ SAID "YOU HAVE IT". UPON FEELING THE PRESSURE ON THE COLLECTIVE, ^LT BAXTER^ ASSUMED ^2LT WILSON^ HAD TAKEN CONTROL OF THE AIRCRAFT AND THEREFORE LET GO OF THE CONTROLS. AT THIS TIME THE AIRCRAFT WAS NOT UNDER THE CONTROL OF EITHER PILOT, WAS DESCENDING IN FORWARD FLIGHT AT APPROXIMATELY 70 KNOTS AND WAS APPROXIMATELY 100 FEET ABOVE THE GROUND. THE AIRCRAFT REMAINED UNCONTROLLED UNTIL THE CREW CHIEF ^SP4 YOUNG^ NOTICED THE AIRCRAFT RAPIDLY APPROACHING THE GROUND. SHORTLY BEFORE THE INITIAL IMPACT, ^SP4 YOUNG^ SHOUTED "WATCH IT!" THE PILOT THEN GRABBED THE CONTROLS AND ATTEMPTED TO STOP THE DESCENT BUT THIS WAS IN VAIN. THE RIGHT SKID MADE INITIAL CONTACT WITH A 4 FOOT MOUND OF DIRT. THE AIRCRAFT CONTINUED TO DESCEND AND STRUCK THE GROUND IN A LEVEL ATTITUDE. THE SKIDS WERE SHEARED OFF THE CROSS TUBES AND THE AIRCRAFT SLID ON ITS BELLY FOR 38 FEET. IT TRAVELLED UP ANOTHER 4 FOOT MOUND AND BECAME AIRBORNE AND TRAVELLED ANOTHER 88 FEET. SINCE THE TAIL ROTOR DRIVE SHAFT HAD BEEN SEVERED BY A BLOW FROM THE MAIN ROTOR BLADE, THE AIRCRAFT HAD STARTED A YAW TO THE RIGHT WHEN IT STRUCK THE GROUND FOR THE FINAL TIME. THE RIGHT YAW CAUSED THE AIRCRAFT TO ROLL UPON ITS RIGHT SIDE. THE CREW HAD LITTLE DIFFICULTY IN EXITING THE AIRCRAFT WITH THE EXCEPTION OF ^2LT WILSON^. HE HAD TO BE HELPED FROM THE AIRCRAFT DUE TO HIS BROKEN LEG. THE TWO INJURED PERSONNEL WERE TAKEN TO THE ^67TH EVACUATION^ HOSPITAL FOR TREATMENT.